This form is for children in grades 1-8. 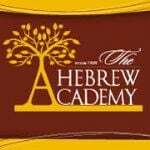 The cost for the Tzivos Hashem/ Mishmor program is $150 per child per year. Tzivos Hashem only is $55 per year. If you already paid Tzivos Hashem directly for this year, it will be $100. You may pay 50% now and get charged 50% mid January.